or just sit back on your porch and do a little bird watching. lots of nature’s music and starry nights. 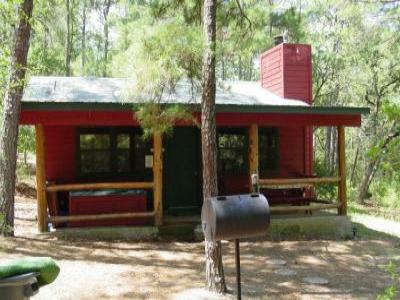 with that someone special, then Lost Pines Cabins is your place. chairs, card and domino are in the drawer. stool, end table with lamp, TV and a big fireplace. benches and two outdoor chairs. Also there is a barbecue grill. the evening around an open flame. We also have added two fifteen ft.
benches, on each side of the fire pit. finally, Lost Pines at Bastrop State Park. Bastrop and Buescher State Parks. Children (10 years old and under) are free. Maximum 6 per cabin including kids.